The Lake District is the UK’s Adventure Capital and we are surrounded by some of the country’s best loved rock climbing. 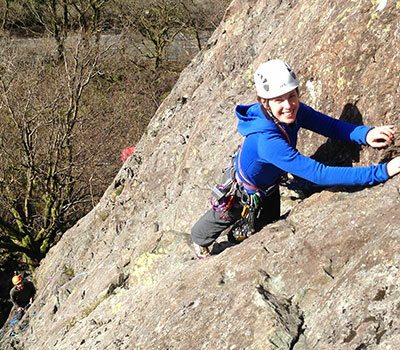 On these crags you will benefit from the highest standard of rock climbing courses in the Lake District! Whatever standard you climb; whether you are a complete rock climbing beginner, keen to learn to climb for the first time, or an expert who wants to develop your extreme rock climbing experience and skills, we can tailor a course for you. 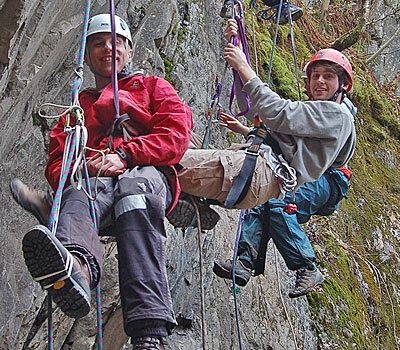 Keswick Mountain Adventures’ intimate knowledge of all the crags in the Lake District, allows us to adapt the outdoor climbing lessons, location and content to suit both your abilities and the weather. 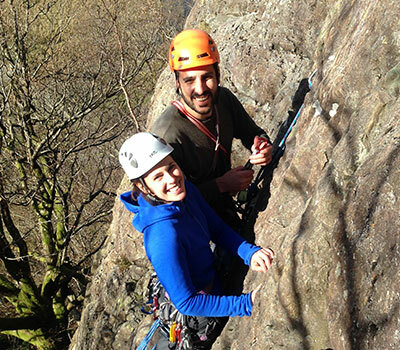 So if you want to brighten up your Lake District visit with climbing courses on our varied rock – to lift your skills to the next level of FUN – Call Mike of Keswick Mountain Adventures! 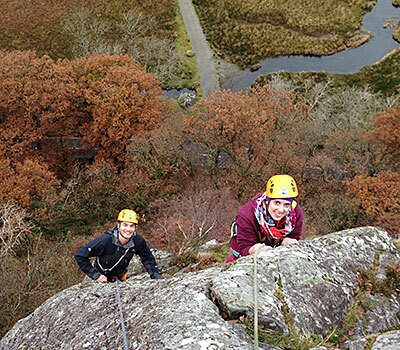 Keswick Mountain Adventures’ experienced climbing instructors will teach you all of the basic climbing skills in our introductory rock climbing courses. You’ll experience climbing in the Lake District in a practical and safe way under the direct supervision of our expert instructors. These climbing courses are designed specifically for people who have climbed on indoor climbing walls and wish to make the transition to outdoor climbing. 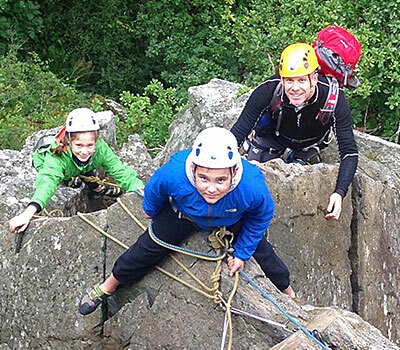 Discover the magic and learn the skills of rock climbing on Lakeland crags. 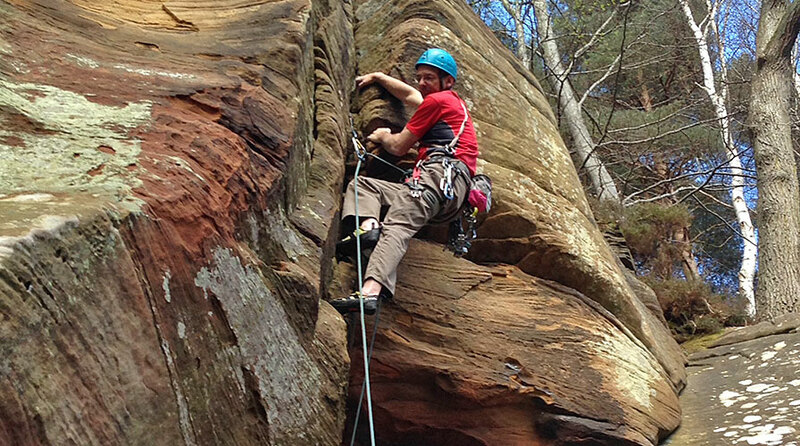 Learn to lead climb using your own leader placed protection on one of our traditional climbing courses. Cross the rubicon of that defining moment for any climber wishing to advance their climbing skills and experience. It is perhaps the most important time to get expert tuition on one of these lead climbing courses. Let us worry about the route finding and the ropework while you simply lap up the Lakeland scenery and get in hours and hours climbing Lake District classics. This course will teach you how to get out of those tricky situations that should never arise but all too often do. These are an essential and occasionally life saving set of climbing skills to have at the ready!